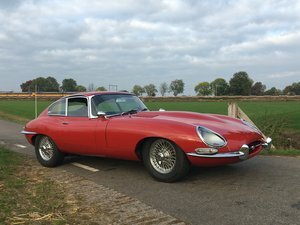 The Jaguar E-type was produced between 1961 and 1975 and quickly became an established icon of the motoring world thanks to its combination of strong looks, high performance and competitive pricing. 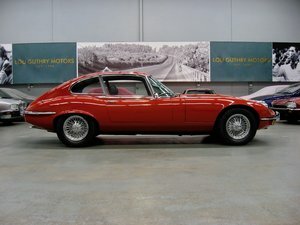 It received the famous accolade of being the “most beautiful car ever made” according to none other than Enzo Ferrari! 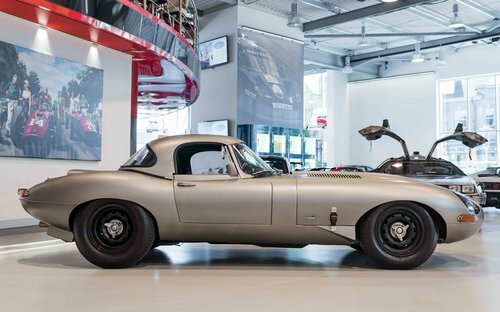 During the Series 1 production run, Jaguar manufactured 12 limited-edition “Lightweight” E-Types, designed as a racing follow-up to the renowned D-Type. These cars featured an extensive use of aluminium alloy metal in the body panels and other components such as the engine block. 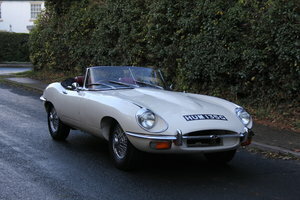 The car we are offering is a RHD 1962 E-Type LWR Lightweight Roadster Replica. It was delivered new to Norton’s of Cardiff as a RHD for export to the USA. 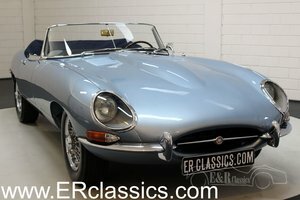 It remained in the U.S. until the late 1990s, when it was bought and shipped to a restoration company in Eire, Ireland where it was fully restored as a RHD E-Type that was suitable for competition. 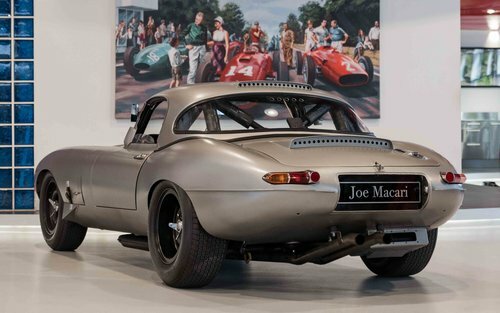 The car was conceived as an eminently useable 315 bhp road/race version of the original Lightweight. 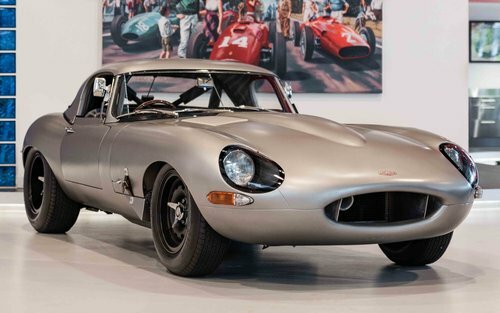 This important Semi Lightweight was built by highly respected company LWR, founded by E-Type gurus Paul Webb and Mick Harris. 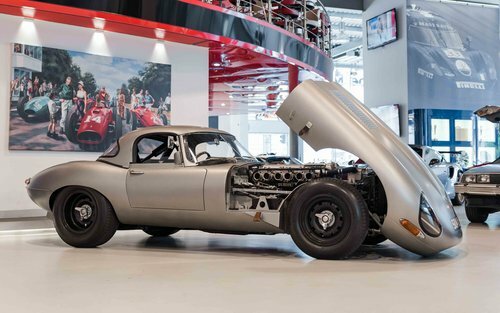 Incorporating the skills of the very best people, with engine and gearbox by Jaguar legends Gorge Hodge and Alan George, who worked for Brown Lane in period. 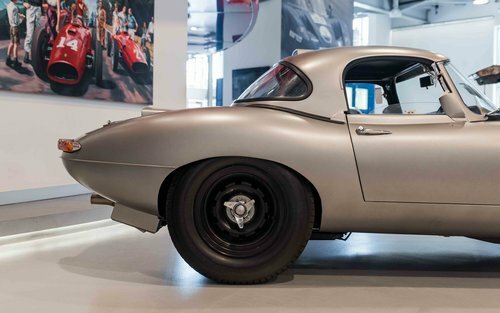 It also sports a proper Coventry ‘Works’, ‘unrepeatable and immensely significant’ as Jaguar World confirms. 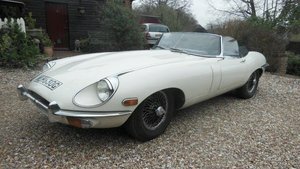 The car was fitted with aluminium doors, bonnet, boot lid and an original factory hardtop, all to original Lightweight specification. 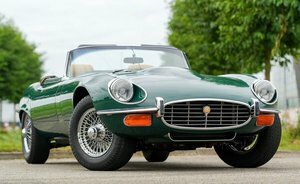 It has also been fitted with a full FIA roll cage and fire extinguishing system, triple Weber 45’s carburettors and the later synchro 4-speed gearbox. 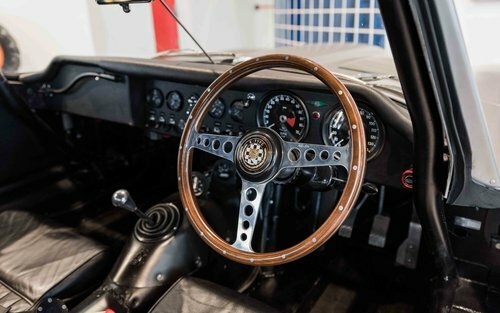 It has been granted a MSA Historic Technical Passport which allows it to compete in FIA (Period F 1962-1965) Class GTS12.